Full Disclosure: I am a devout Roman Catholic. There are at least 21 different sects of Catholicism which claim a union with the Pope. This means that they accept the Pope as the final authority as Christ's representative on Earth. Roman Catholics comprise about 1.2 billion people. I was baptized as an infant, raised in a Catholic home, pray daily, and will die with the Last Rites. It has been a good sacramental life filled with the joy of knowing my savior (Jesus) and the promise of spending an eternity with our loving creator. I don't apologize for my faith and I do not judge other people's status with God. 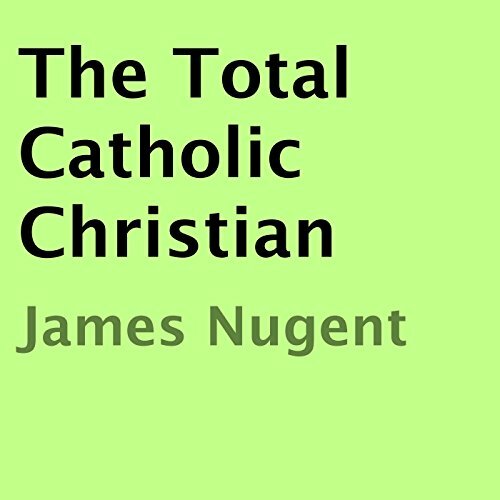 I have found that to be totally Catholic makes one totally Christian. This is my life and my view. I challenge all Christian listeners to throw away any hypocrisy they may bear. Get real with God and your fellow human beings. Let God decide whose sins are worse, and pay attention to your own salvation. Being in denial will not help you at all. Only God's healing love and forgiveness will get you to heaven. Cling close to our savior. Christianity is far more than a set of rules. The Ten Commandments are a good beginner's guide to living a happy life, but if we stop with this list of things one should not do; we miss the whole point that Christ came to teach.